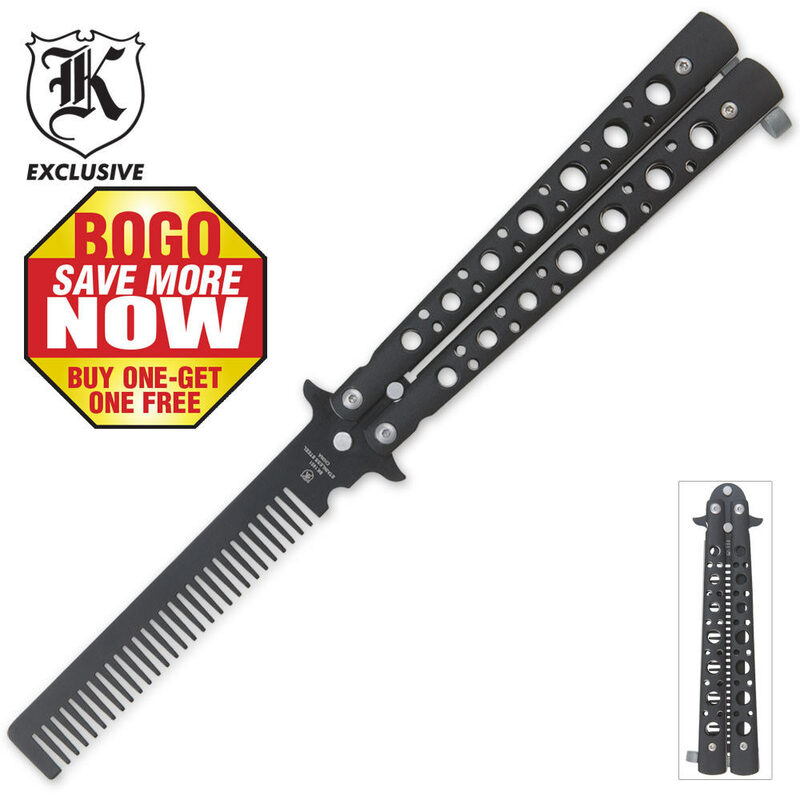 Butterfly Hair Comb 2 For 1 | BUDK.com - Knives & Swords At The Lowest Prices! $10 for 2 Balisong-Combs, however the material is too light for my comfort and needs alot of oil. I bought this as a bogo for my son for Christmas and it has a very sturdy construction but I noticed right off the jump that it is put together backwards. If this was a knife you would cut your fingers. I gave the 2nd one to my boyfriend and he loves the way it feels when he uses it to comb his hair. Now here's hoping my son does not take his to school and get it taken away right away. This does make a nice gift. Less sturdy then normal butterfly blades, but its mostly for fun. Still is a sweet deal. really well built! strong and sturdy and fun to play with. I have thick hair and it combs through it with no problem. if you are considering buying this stop considering and buy it you wont regret it!